I have this book up for review but not until March 8th. But I wanted to get this info out there for all of you do you can be sure to add this book to your TBR list! 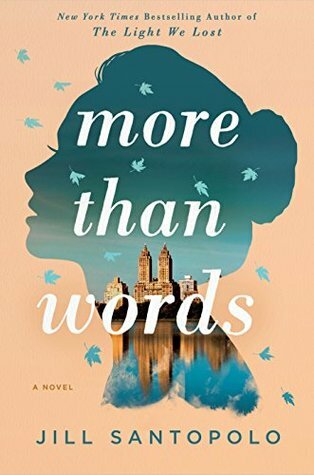 From the New York Times bestselling author of The Light We Lost, Jill Santopolo, comes her much anticipated second novel MORE THAN WORDS (Putnam; on sale Feb 5). It was written after my father died in a car accident and while many people I care a lot about were fighting cancer. It was also written while I was falling in love. I think you’ll see pieces of all those emotions in this story—the mixture of love and loss, of despair and hope, and, ultimately, of peace and self-discovery and the knowledge that sorrow and joy can coexist in our hearts, that we can live and love even as we mourn. 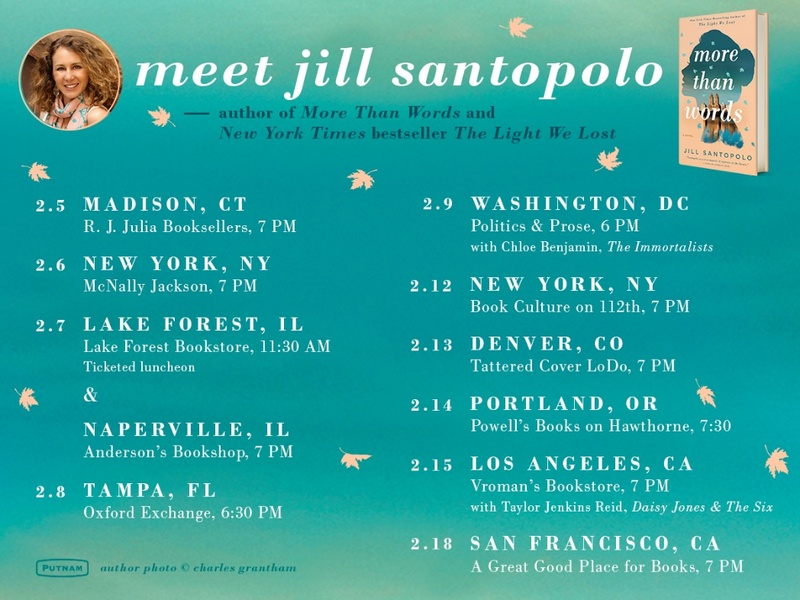 Jill Santopolo is the author of the The Light We Lost, the Alec Flint Mysteries, the Sparkle Spa series, and the Follow Your Heart books. She holds a BA in English Literature from Col umbia University, an MFA in Writing for Children from the Vermont College of Fine Arts, and a certificate in Intellectual Property Law from NYU. Jill is also the Editorial Director of Philomel Books, an imprint of Penguin Young Readers Group. When she’s not writing or editing, Jill is a thesis advisor at The New School in their MFA program in Writing for Children and Young Adults and is on the faculty of the Columbia Publishing Course. Jill has traveled all over the U.S.—and to Canada and Europe—to speak about writing and storytelling. She lives in New York City.